I'm better today. I apologize for the pity party yesterday. I was just having one of those days. Today, I've been staring at my blogger dashboard, trying to figure out what to share with you. I also really wanted to CREATE something more than just a blog post. 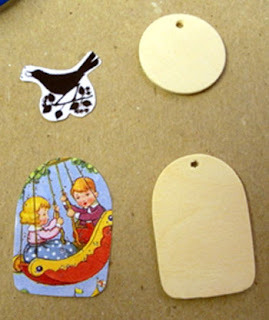 I dug through my craft bag here at work and pulled out some small wood tags. I then found some images I liked on the collage images group in flickr. I picked out a few and printed them. After comparing image sizes to the tag sizes, I chose the images for the tags. I traced around the images with the tags and cut them out. My craft bag also contains some travel containers of acrylic paint and a few paintbrushes. Right now I'm really fond of metallic paint, so I went with a few of my favorite colors of those. This is where I am stalled right now. I want a few embellishments for these tags (i.e. rhinestones, sequins, silver or gold paint pens, etc) before I glue them down. 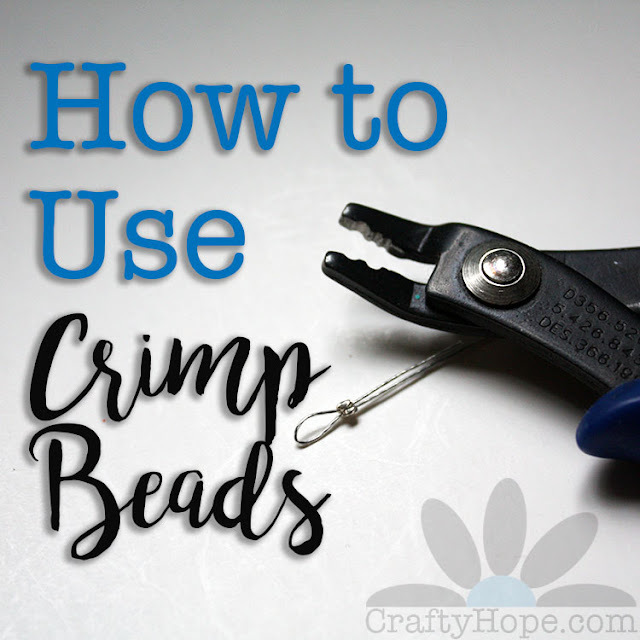 These items are not currently in my craft bag - DANG! 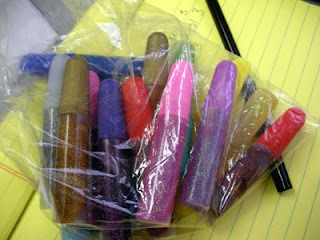 I do have a bag of cheap glitter glue (easier to transport than loose glitter.) But, that's still not enough. I guess I'll have to wait until I get home to complete these two tags. I guess I'll go ahead and update you on what IS in the craft bag today. Leeeet's see: a bag of wooden beads and tags; a bag of various papers (tissue, text, wrapping, etc. ); 4 travel containers of acrylic paint; paintbrushes; gel medium; hole puncher; paper tags; dyed string; glitter glue; clipboard; sharpies; large craft/life notebook; journal; gel pen; and USB camera connection. There should be some pieces of shrink plastic in there too, but I can't seem to find them at the moment. Oh well, it's heavy enough right now. A while back, Craftzine had a piece on using old salad containers as shrink plastic. I've cut out the ones I've had myself, but haven't had much chance to play around with this yet. A Little Hut also had a post on this bright idea lamp - re purposing an old lamp. I love that idea. A friend of mine has a square lamp base covered in cork. I bet it would be pretty easy to do a square lamp with cork on two sides and chalkboard paint on two sides to make a message center. 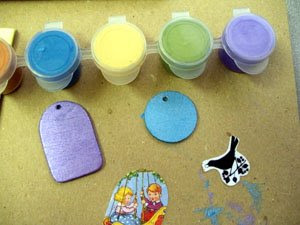 Lastly, Crafty Goat shared a variety of ways to use mineral oil with polymer clay. Maybe I'm back in a crafty groove. 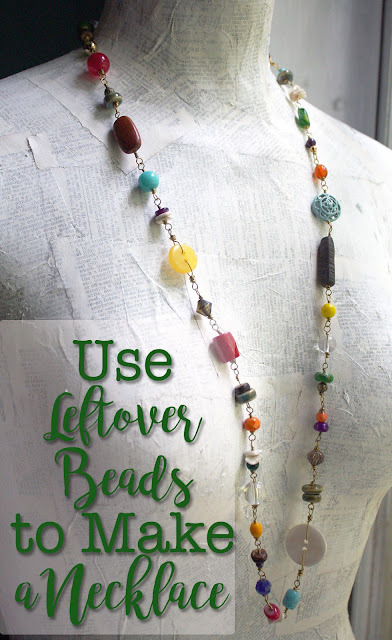 Here's hoping you can get your crafty groove on too! !